Electronic banking no later than the first business day after the 5th of each month. Administer tenant deposits within time period prescribed by law. The better condition your house is in, the better quality tenant it will attract. Your home must be left in professionally cleaned condition. Your Property Manager prefers to arrange this cleaning to insure that the cleaning guidelines are strictly followed. The carpets must be professionally cleaned and all debris and personal belongings removed from the house. It is not necessary to paint, but you should consider painting any room that has dirty or marred walls. A neutral color is best. Your Property Manager will be happy to discuss any necessary repairs or painting with you. Neutral window coverings such as blinds should be left, preferably not curtains. Tenants moving into a rental property do expect some sort of window coverings to be provided for privacy and safety. There should be no items stored in the property, including attics, basements, storage areas, etc. We recommend that you do not leave a washer and dryer unless it is a stack unit or an unusual size. It is typical in our area for all kitchen appliances, including stove and refrigerator, to be provided. The tenants are required to maintain the yard in the condition it is provided to them. Therefore, the yard should be freshly mowed, weeded, trimmed and the leaves and debris removed. 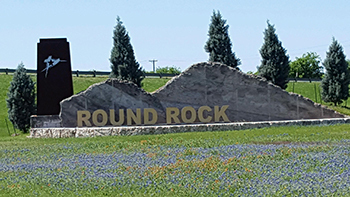 Round Rock is a city in the U.S. state of Texas, located in Williamson County, which is a part of the Greater Austin, Texas metropolitan area. The city straddles both sides of the Balcones Escarpment, a fault line in which the areas roughly east of IH-35 are flat and characterized by having black, fertile soils of the Blackland Prairie, and the west side of the Escarpment which consists mostly of hilly, karst-like terrain with little topsoil and higher elevations and which is part of the Texas Hill Country. In August 2008, Money magazine named Round Rock as the seventh-best American small city in which to live. Round Rock was the only Texas city to make the Top 10. Round Rock has a strong public education system. According to the 2008 ratings from the Texas Education Agency, the Round Rock Independent School District (RRISD) ranks among the best in the state. Of 42 schools within it, twelve were rated exemplary and eleven are recognized.